Skip Knoll Inc. Professional Remodeling is a full service design/build contractor located in Erie, Pa and established in 1988. We provide you with custom design and craftsmanship for recreating or adding on to any space in your home, specializing in kitchens and bathrooms. Our designers stay current with the latest trends in architecture style and materials to offer suggestions and vision that align with your needs. When a project is complete, you will enjoy a “one of a kind” space that is designed to compliment and reflect your personal lifestyle. Check out our project gallery to see some of our creations from throughout the years, many of which have earned recognition of the Home Builders Association in their Annual Awards of Excellence. We look forward to our 30th Anniversary of "Changing Where You Live without Changing Your Address." Since 1979, Creative Nook has been a leading Design & Build firm, fully versed in all phases of residential construction. We give thoughtful consideration to your needs, budget and time frame. Even Kiehl Remodeling is a family owned and operated business. Tom Kiehl, primary owner and operator has had a construction and remodeling business since 1995 in both Cleveland and Erie areas. We work our schedule to best meet your needs on a daily basis, and make every attempt to be as unobtrusive to your life and home. Restoration Construction Enterprises LLC has over 30 years of experience in residential custom restoration. We specialize in kitchen and bathroom design and installation. After working with some of the country's premier cabinet and architectural millwork companies, Chris Herakovic started Southern Buckeye in February, 2009. He always had a passion for the craft ever since he studied historical restoration at the Savannah College of Art and Design. He ventured out on his own, so that he could focus more on individual pieces and rooms. He viewed his craft more as an artisan as opposed to a woodworker, and Southern Buckeye has grown on this principle. Southern Buckeye views each piece as individual and unique. Like a piece of art in a museum. Each project receives our undivided attention, and we will not start another project until yours is completed to our highest standard. This allows us to focus on quality, and producing pieces that you pass onto future generations. Black Forest Design & Build is a true full service remodeling company based out of Lancaster County, PA. We are a small but experienced team that loves designing and building new spaces. Rudloff Custom Builders is a full-service, certified general contracting company that will cater to any of your remodeling dreams including whole home renovations, additions, and kitchens. We are a full service design / build firm with a beautiful kitchen and bathroom showroom featuring displays of cabinetry, countertops, hardware, flooring, sinks, and faucets. We have a full time kitchen designer with over 12 years of experience in the kitchen & bath design industry who uses the 2020 design program to help you visualize what your project will look like when completed. Our owner is a contractor with over 30 years of experience in the building and remodeling industry. Our motto is "high expectations, higher results." Proudly serving the Erie, PA area. Cottage Industries is a full-service residential design and construction company. Our strength is to seamlessly blend old with new, accommodating many architectural styles. At Keystone Kitchens, we have been providing beautiful, functional, quality kitchens and baths to many satisfied customers in Erie and Crawford counties for over 30 years. We do our own innovative and user-friendly designs, and give you the ability to see it in a colored 3D view right before your eyes to ensure your future kitchen is what you have been dreaming of! 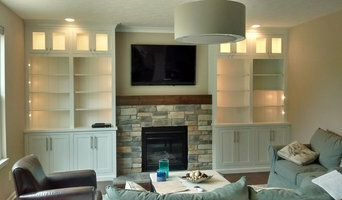 We feature "Candlelight Cabinetry" custom cabinets made right here in the USA! These are top of the line cabinets that are available with many features and in many combinations of wood species, door styles, and colors to help you create the look you want. We also install porcelain and vinyl tile as well as quality hardwood flooring. 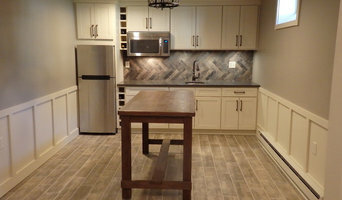 Then to complete the beautiful transformation, a wide array of granite and other counter top materials are available and we specialize in all types of decorative tile back splashes. Truly our work does speak for itself and we believe "word of mouth" is our best advertisement, so our goal is to provide the highest quality product you can find. We do this because we want you to be our next reference! Design-driven, comprehensive home remodeling contractor specializing in residential kitchen, bath, basement design & build projects. Our in house team guarantees uncompromising quality and service! Kitchen Concepts of Erie, Pennsylvania, is an award-wining kitchen and bath design center that specializes in creating your living space to fit the parameters of your lifestyle. Owner, Rick Constantino, and his experienced staff, bring together over 60 years of combined experience and the finest quality products to transform your kitchen and baths into areas of utmost style, convenience and functionality for you and your family. We work with you to make your dreams a reality. Our goal is to build a relationship with each of our customers in an effort to truly understand the needs and wants you have for your home. Once your visions are realized, we design, supply and install all aspects of the project while giving you the highest standards in professionalism, quality of products and service. If developing your home into something dynamic means that other areas of your home need attention – we are equipped to provide you with services in places such as laundry rooms, family rooms, and in-home offices, just to name a few. An "outdoor" or "patio kitchen" may be the perfect place to add convenience and efficiency to your home for entertaining guests. Go ahead – think outside of the box. When you are ready, Kitchen Concepts, the leader in the Northwestern PA & Southern Tier area, will welcome you and your ideas into our showroom. We take great pride in making your home something that you can truly love and be proud of. We provide cabinetry and design, along with complete in-house manufacturing of Natural Stone, Quartz and Corian countertops. A full service company that showcases our capabilities. A full service builder/remodeler specializing in custom additions, kitchens, & bathrooms , as well as decks, patios, & retaining walls. We pride ourselves in our craftsmanship while paying attention to details so as to provide our customers with a finished , top quality project. Elite Homes LLC is a family-owned home remodeling business, geared towards kitchen & bathrooms, providing services in the Delaware County and Chester County area’s. Kitchen Solutions Plus offers high quality cabinetry products, as well as installation of all kitchen cabinetry and bath vanities. Rose Tree Construction is your premier partner for kitchens, baths, basements, and outdoor remodeling. We take a collaborative approach to every project, delivering our projects on time and on budget. Since 1957, Joe Chromik & Son Plumbing has been providing the finest in plumbing repairs and installations for both homeowners and commercial clients. We place customer service at the forefront of our priorities and offer some of the most competitive rates in Erie, PA. When you work with Joe Chromik & Son Plumbing, you’ll receive the best of both worlds. Since the beginning, we have taken pride in delivering the best products, workmanship, and control practices. Now, we’d like to extend our prompt and affordable services to you. We are a group of skilled, experienced kitchen designers. We specialize in creative design solutions for kitchens in every style, creating beautiful spaces that will stand the test of time. We continue to exceed expectations through the use of experienced certified kitchen designers who tailor customer's dreams to create a kitchen that reflects their tastes and lifestyles. Rittenhouse Home provides award-winning design around the globe so let us redesign your life into a tradition that will capture the elegance of your home. Welcome to Fuller Building Group the leader in Crawford County in custom home construction and home remodeling. Owner Chris Fuller is a second generation builder who has been perfecting his skills since graduating Edinboro University in 1999. In 2007 Chris successfully expanded Fuller Building Group from a custom and spec home building company to one that included residential remodeling, renovations, repairs and additions. Once again in 2010 Chris expanded Fuller Building Group to include small to mid sized commercial construction projects. Fuller Building Group has refined its skills, knowledge and expertise and has firmly establish itself as the areas premiere general contracting firm focused on customers satisfaction. Fuller Building Group has recently tastefully renovated a distressed building into their full time offices and showroom. It is conveniently located at 462 North street in Meadville PA and in currently open by appointment. The showroom contains ample samples of high quality materials ranging from durable siding to ornate cabinetry. It also boosts a beautiful photo (Idea) gallery highlighting some of their projects. Upon entering the showroom you will be greeted by the owner Chris Fuller where he will guide you through all the different options related to your particular project, explain the construction process and design a effective path for moving your project forward. This one stop shop location will provide you the education and the confidence in pursuing your construction project. Call today to schedule an appointment at your place or ours. We have the most experienced design staff, in-house installation crews, in-house countertop manufacturing, and we are the distributor for most items we sell. Stop by our showroom today! Philadelphia Kitchen and Bath Remodeler Best of Houzz 2015-2018! TilMar Designs is a Design Build Firm with top notch product and service, working to provide our customers with a high level of product and finish for their home improvement needs. 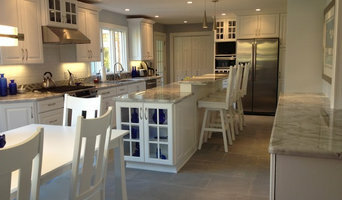 Delaware County Kitchen & Bath Remodeling Experts - 5X Best of Houzz! Kitchens and bathrooms are two of the hardest-working spaces in any home. When it’s time to update them, ensure that they stay at peak functionality by hiring a Lawrence Park kitchen and bathroom remodeler. With an eye for aesthetics, a practical approach to layout and design, and the skills of a contractor, a bath or kitchen remodeler in Lawrence Park, PA can help you execute a remodel suited your personal style and needs. What does a Lawrence Park kitchen and bath remodeling expert do? Licensed Pennsylvania kitchen and bath remodelers are contractors who specialize in altering the structure of an existing space, rather than building one from the ground up. Because he or she must deal with a previous builder’s work, the job can get more complicated than new construction. You might wonder why they often specialize in both kitchens and bathrooms, but if you think about those two spaces, they actually have a lot in common. Kitchens and bathrooms include an abundance of fixtures that require careful planning and installation, including sinks, faucets, tubs and toilets that all need water hookups and drainage. They also use similar materials, such as tile and stone for countertops and flooring, due to the nature of their use. So it makes sense that Lawrence Park kitchen remodelers and bathroom remodelers be one in the same. A bathroom or kitchen remodeler translates architectural plans from page to reality; some are also trained to provide design services so that you don’t have to hire a separate pro. 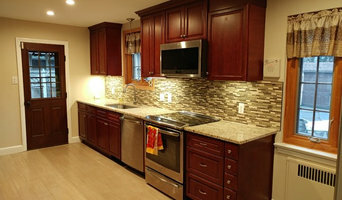 Like a general contractor, a kitchen and bathroom remodeler in Lawrence Park, PA is responsible for hiring and supervising subcontractors and providing materials when necessary. They also should have a thorough knowledge of Pennsylvania building codes and construction-related legal issues, as well as current design and product trends. Here are some related professionals and vendors to complement the work of kitchen & bath remodelers: Woodworkers & Carpenters, Kitchen & Bath Designers, Interior Designers & Decorators, Architects & Building Designers, General Contractors. Find a Lawrence Park kitchen and bathroom renovator on Houzz. Narrow your search in the Professionals section of the website to kitchen and bathroom remodelers in Lawrence Park, PA. You may also look through photos of Lawrence Park, PA spaces to find kitchens or bathrooms you like, then contact the bathroom or kitchen remodeler who worked on it.